How to customize Next Action Quick select? Edit their next action by clicking on the Edit link at the top right corner of the blue box. 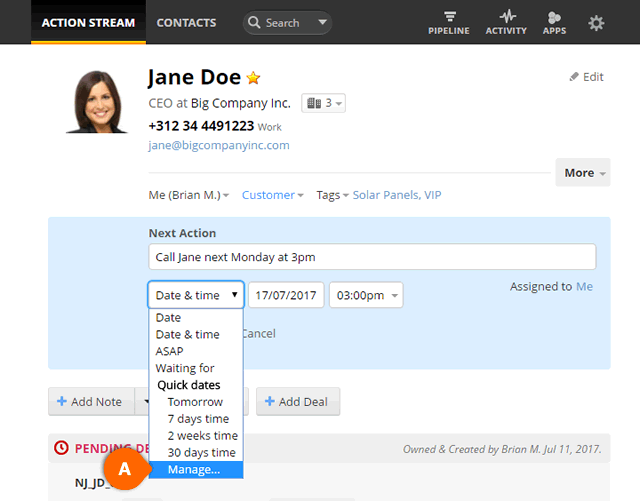 In the Specific date drop-down menu, scroll down and select Manage... (see A). 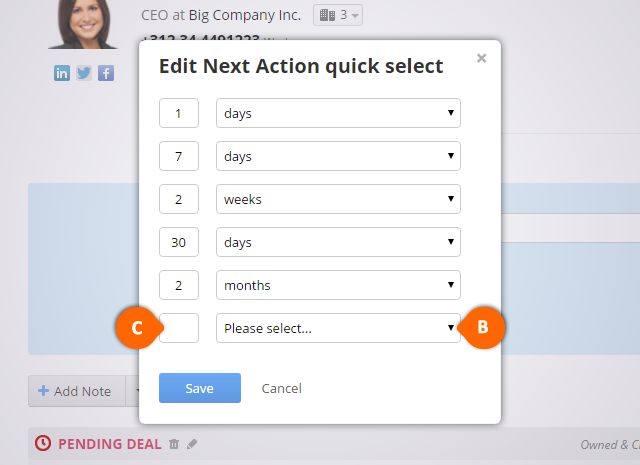 Only an Account Owner or Administrator can customize Next Action Quick select.